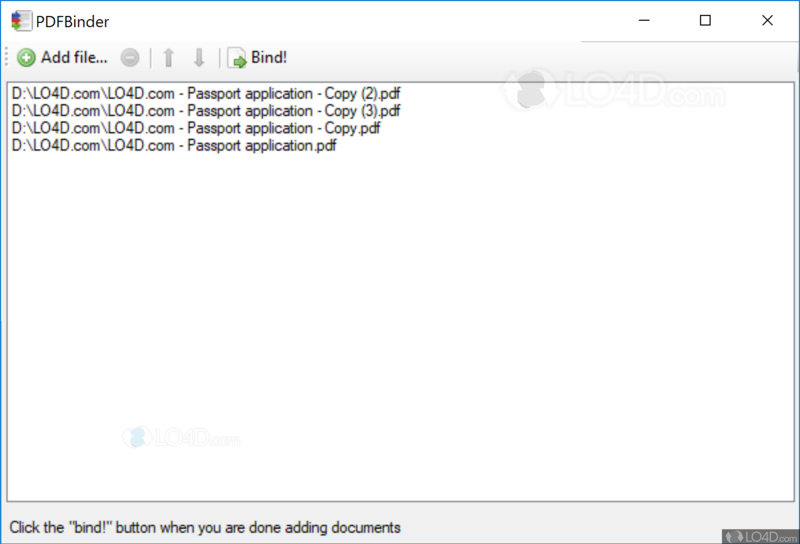 PDFBinder is a small utility which allows you to combine PDF documents. The program is simple, yet effective. To merge PDF files, drag the documents to the PDF PDFBinder window. The program will do the rest without having to worry about configuration options or complications. The result: a single file with the contents of all documents, effectively one merge PDF document. Once you create the final document, it will open in your PDF viewer so you can check the result. Easy Peasy! PDFBinder is licensed as freeware for the Windows (32-bit and 64-bit) operating system / platform from pdf software without restrictions. PDFBinder 1.2 is available to all software users as a free download (Freeware). Compatibility with this PDF binder software may vary, but will generally run fine under Microsoft Windows 10, 8, 8.1, 7, Vista and XP on either a 32-bit or 64-bit setup. A separate x64 version may be available from JSR. This download is distributed as PDFBinder-v1.2.msi. 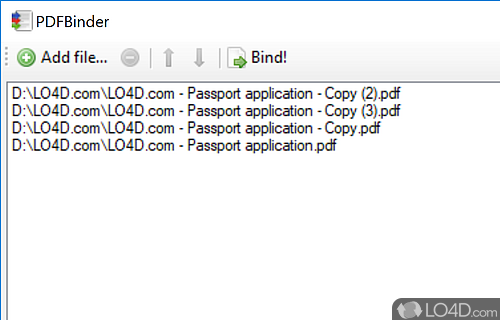 We have tested PDFBinder 1.2 against malware with several different programs. We certify that this program is clean of viruses, malware and trojans. 4.6 out of 5 based on 26 ratings.